A place without void or form. For there is a thought which emerges, allowing a reality to exist. A thought which fuels a whole cosmos into form. 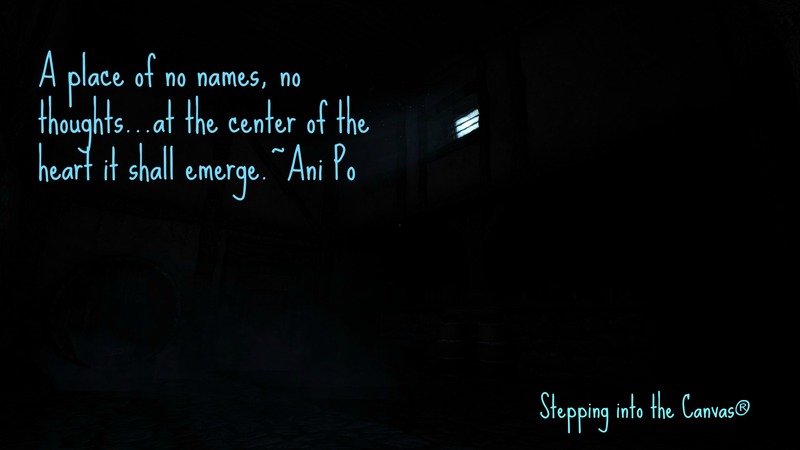 It is this place of knowing the center is within us and possibilities endless. Within our darkness, we retreat to a brighter place. Beginning with a spark…exploding to a raging fire. Stepping into the Canvas with no thoughts…but one. An idea or thought that meets at a level of the heart. Through gratitude and joy, intention and action…we emerge in an eternal bliss of happiness. How can it begin with a single thought? Where do you think it all began? On our way to syncrosensational we acknowledge the many differences within our days. Differences of person to person interactions, situations which test our patience, and our belief that happiness isn’t possible. The reality is that happiness is always possible. If earlier belief has a stronghold on one’s reality it may be due to physical or mental strain, difficult people in our lives or pressures of the days to work as hard as we can to make ends meet. Either way, it is within our ability to let go of this belief of being stuck in any given situation. We need only let go of the negative belief and seek a more positive pathway towards happiness. While happiness is not a destination it is a belief that is attainable no matter what. What about chemical imbalances? or psychological beliefs such as Post Traumatic Stress Disorder (PTSD)? I am not an expert on this but I have met many whom have done extensive work with others who have experienced both chemical imbalances or PTSD, inhibiting the person from seeing a positive outcome in their daily lives. Given an opportunity the imbalance can be restored. Our self-worth is challenged by many factors of life. Until we learn to let go, we may never see the light of day…remaining in the dark night of the soul. How do we change our situation? How do we see things in a brighter way? With baby steps and much self-worth, we extend our love to the self, closest family and friends…until it contagiously expands in our own reality. With a single step of self-love, we find happiness with self. Accepting self for the divine being it is. Once our self-worth is raised it expands to others within our immediate circle. Expanding to this circle, it then grow into the outer circles of our reality. Step by step, circle by circle our thoughts of happiness grows. As our happiness grows we add to the vibration of the universe…spreading light in darkened situations. Loving unconditionally the self, we accept self no matter what others think or feel about us. Loving self conditionally, we begin sharing unconditional love with others. As within so without. We expand until all we see or breathe is love. First steps are most difficult but carry the greatest rewards. Each step thereafter gets easier and easier as the fear and pain dissipate. Continuing forward to a place of happiness. Better bring a key to unlock that door ahead! Where is this key to happiness? We can seek high and low, only to find the key has been present all the while. The key to happiness resides in all and accessible by all. 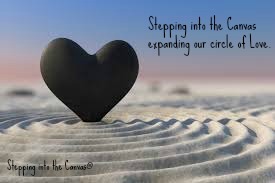 Stepping into the Canvas expanding our circle of Love. From self to those closest to us. From closest family and friends to community and out into the world. Ever expanding our own happiness we are sharing the possibilities with others so they may choose to be happy or remain in their own reality.